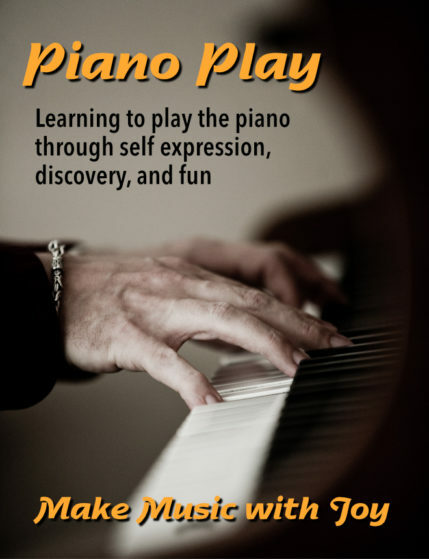 Have you wanted to learn to play the piano? Do you have memories of learning as a child and now wish you had continued? Are you someone who says I can only play if I have the written music? Are you someone who says I can only play by ear? Perhaps you can remember a time when you were excited about learning to play the piano. Then that excitement disappeared. Playing the piano became little more than boring technical exercises and practicing the same pieces over and over. Everyone has the capacity to create and express themselves at the piano. I can show you how. Anyone can learn to read written music. If you can read these words, you can read music notation. My approach to teaching is from a classical tradition with one very major difference. I have a commitment to the value and benefits of learning to improvise. As students gain facility with this, they will discover an access to a very deep and satisfying self expression and creativity. The great classical masters and musicians in general, had a great facility with improvising. Somewhere in the evolution of classical music training, this was lost. Bach, Beethoven, Mozart, Chopin and many others were famous for their remarkable abilities to improvise. I have a passion and commitment to bring that back. It’s a great tool for gaining a sense of freedom in your playing, even when you are not improvising, and for exploring musical theory and technique in a fun and engaging way. You also develop a capacity to deal with the unexpected when you perform or play which ALWAYS happens. Upon hearing the word “Improvisation”, you may understandably leap to the conclusion that I teach Jazz performance. I do not. If this genre is your passion, you will want to seek out a teacher who specializes in that idiom. When you learn to improvise you are really learning to compose music spontaneously. You may discover that you want to learn to write your music down and to think about it more formally and structurally. I’ll also teach you composition if you discover this as an interest for yourself. As much as possible, I take an approach where students learn and discover for themselves. This is, from my perspective, a much more powerful and rewarding learning experience. Of course I’ll show you how to do things, but usually only when it shows up in your own process of learning. If you want a highly linear and regimented approach to learning (perfectly valid and workable for many) I may not be your teacher.